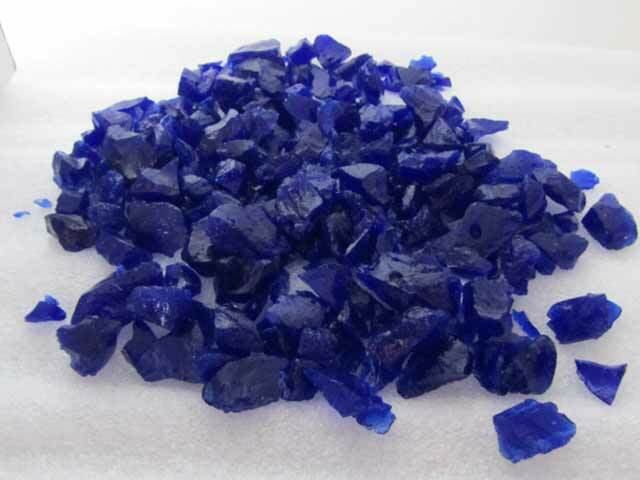 Our cobalt glass chippings are a deep ink blue colour. They are of an angular shape and are available in two sizes, medium which ranges from 6-11mm and large which ranges from 11-20mm. 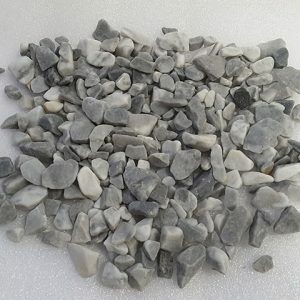 The great advantage of this particular product is that they do not discolour with weathering, unlike some other aggregates. They provide a beautiful infusion of colour for any Terrazzo project and will provide a covering that is both attractive and stands the test of time. Our glass chippings are made from 100% recyclable glass bottles and jars. The recycled glass is melted to an extremely high temperature. A dye is then added to produce a specific colour. This is a permanent dye that will not fade. The sheet of dyed glass is then cooled, crushed, graded and bagged. 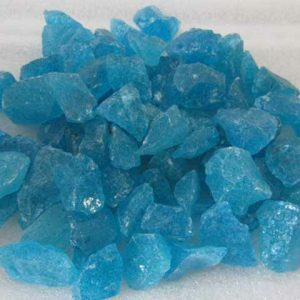 The cobalt glass chippings have also been used in Terrazzo flooring. This particular glass chipping has also been used in Resin Bonded paving. Resin Bonded paving is where a decorative or coloured aggregate/chipping is “glued” to an existing solid surface by means of a transparent or coloured resin. 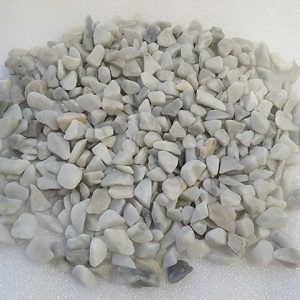 The chipping must be machine dried aggregate/chipping for the resin to take. Resin Bonded paving is becoming more common and uses include flooring, driveways, paths, patios, footways, cycleways, bus lane, road junctions and car parks. Our cobalt chippings have also been used in gardens and landscape Projects. Many landscapers will incorporate them in their own design to achieve an overall look for a client. Some have used the cobalt glass chippings on their own or with other colours from the range to achieve their design. The cobalt chippings have been used in floral arrangements. Customers have used the chippings for wedding table displays, as part of a floral arrangement, window displays and for use in creative internal planting. 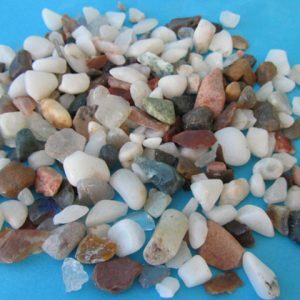 Our wide variety of coloured glass chippings and pebbles allows the customer to choose a coloured glass chipping/pebble that will match their specific internal decor. 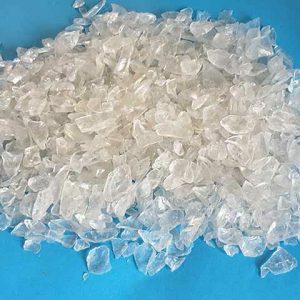 Many customers have incorporated the cobalt glass chipping in their art & craft projects including mosaic pieces, stained glass and glass lamps. Often a customer will use the glass chippings with a variety of other coloured glass chippings from the same range.